If you have a windmill anywhere near your house, congratulations, your house just went down 75 percent in value. And they say the noise causes cancer. Um, what? 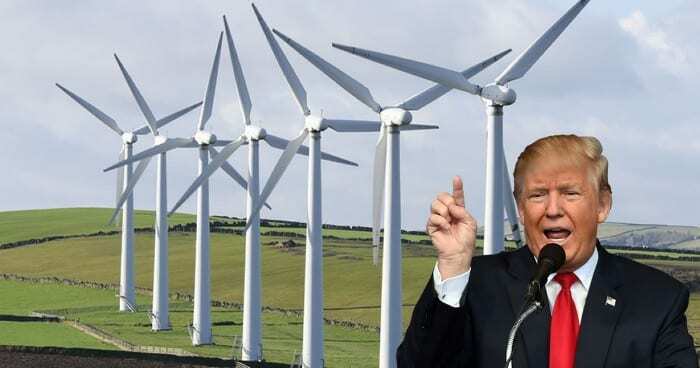 To start things off, it’s important to mention that Trump was actually talking about wind turbines, not windmills. The two are quite different, but more on that in a bit. 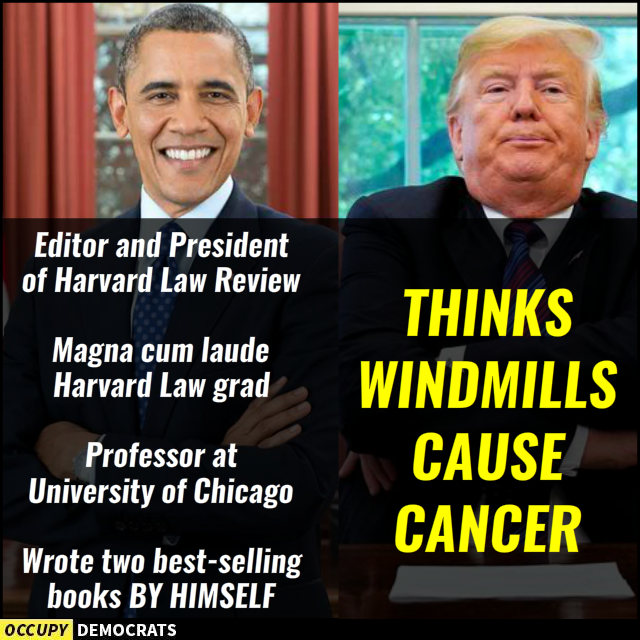 Since there has been absolutely no proof or even research on whether windmills (or wind turbines) can cause cancer, it’s safe to say that Trump’s claims hold absolutely no merit. At least his foolish statement inspired some truly epic memes! While both windmills and wind turbines convert wind into energy, they serve different purposes. Windmills are used on farms to convert wind into mechanical energy for pumping water or milling grains. Wind Turbines, on the other hand, convert the wind into electricity that can be used to charge batteries and power electrical equipment. 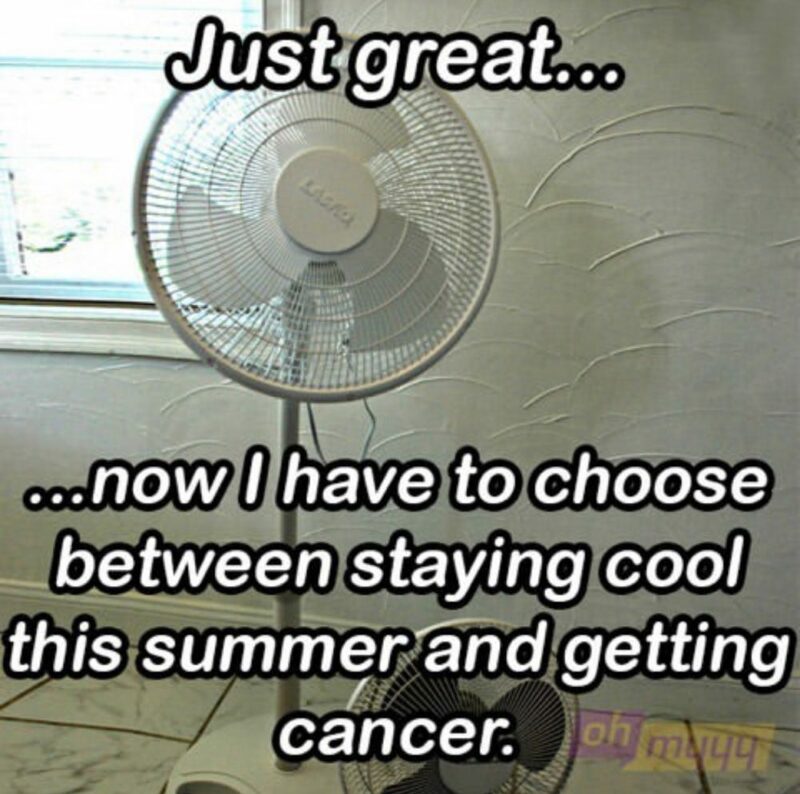 Neither, of course, cause cancer. When you list some of Barack Obama’s accomplishments and compare them to anything Trump has done it’s hilarious. 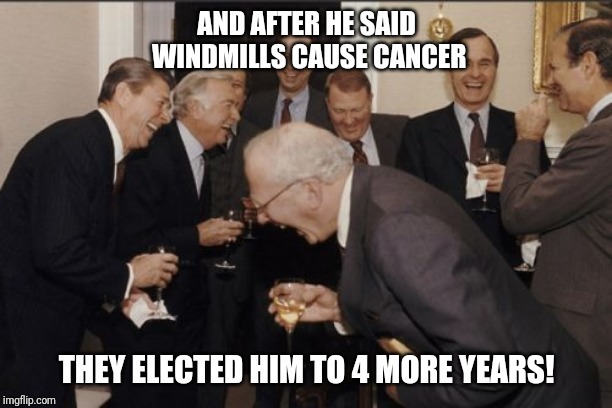 When next to the fact that Trump thinks windmills cause cancer, it becomes epic. 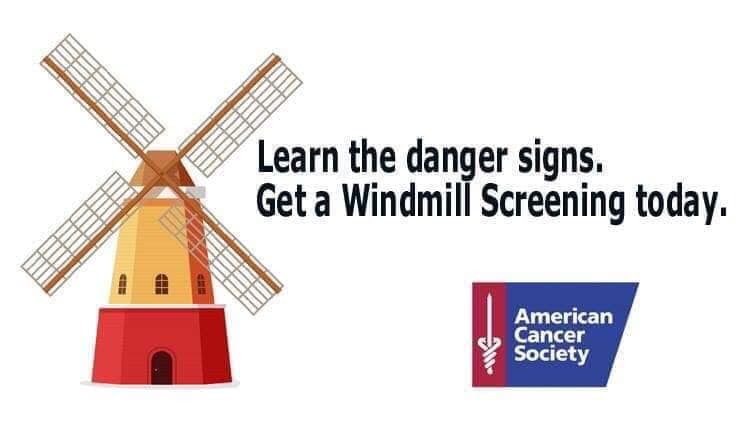 The signs for windmill cancer include unnecessary late-night tweeting, hair loss, orange skin, and the inability to control the words that come out of your mouth. While there isn’t a cure, the American Cancer Society does have a solution. 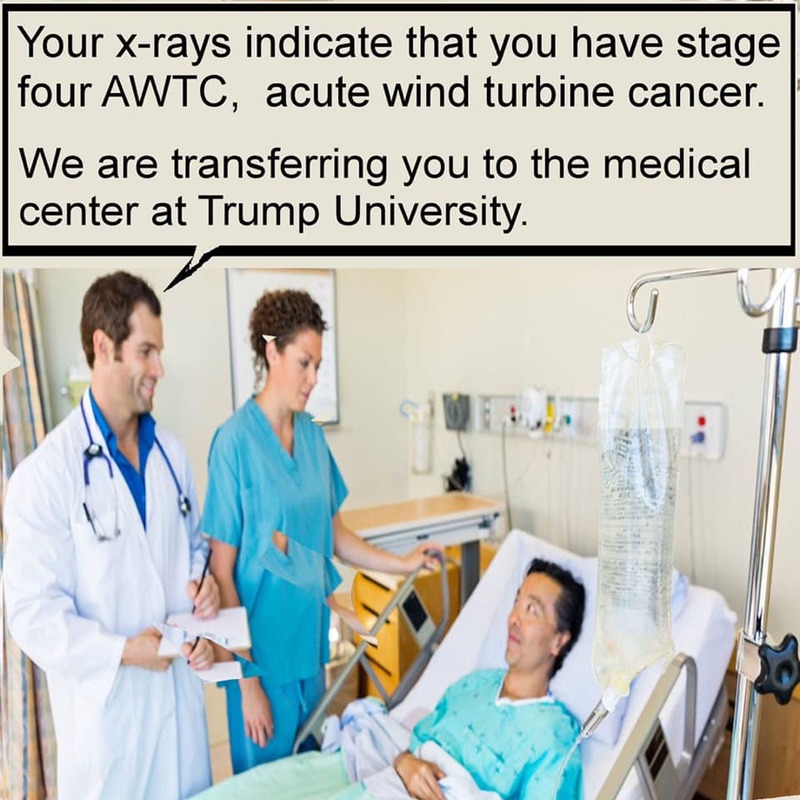 Since anyone who lives within three miles of a windmill or wind turbine is in grave danger, the spare rooms in the White House have been opened up to the public. Poor Trump has a hard time understanding what words to use when talking about certain things, so it’s always best to use pictures. 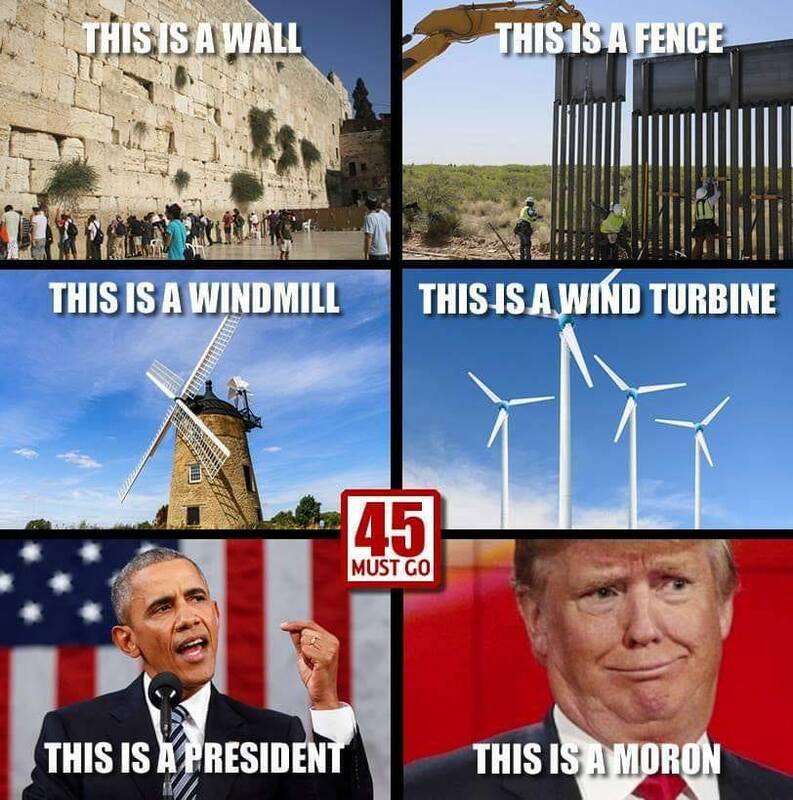 This meme not only demonstrates the difference between a windmill and a wind turbine but also the difference between a wall and a fence as well as a president and a moron. 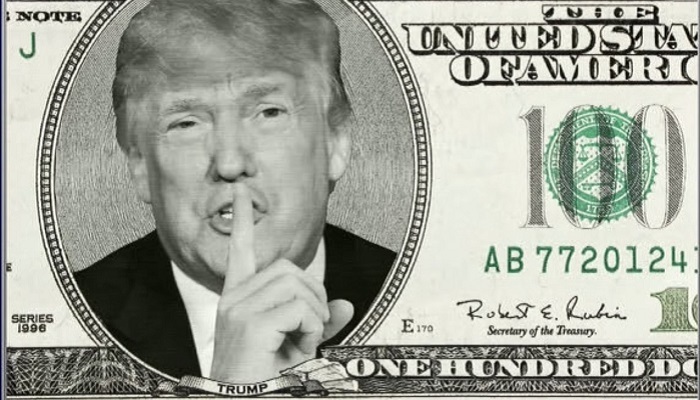 If Trump gets reelected after all of the moronic things he has done and said these last few years, then we deserve whatever he does to this country. 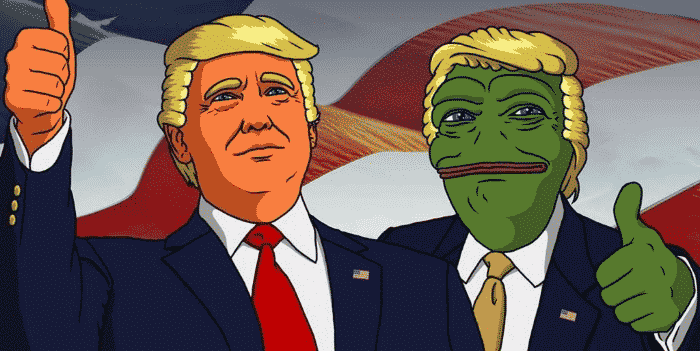 We’ve already become the laughing stock of the world, but at least Trump hasn’t caused any permanent damage. Yet. It’s a good thing zombies aren’t real because brains are in short supply these days. They’d likely starve, especially if they come back from the dead in a predominately conservative state. Windmills, wind turbines, and standing fans. They’re all the same thing. right? 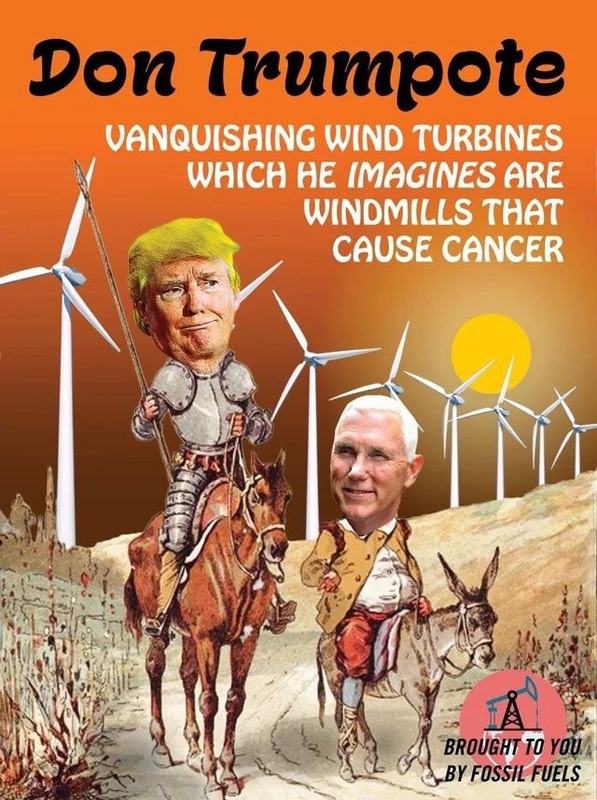 It would be kind of amazing if Trump’s MAGA minions actually started avoiding windmills just because our moronic president thinks that the noise it makes causes cancer. 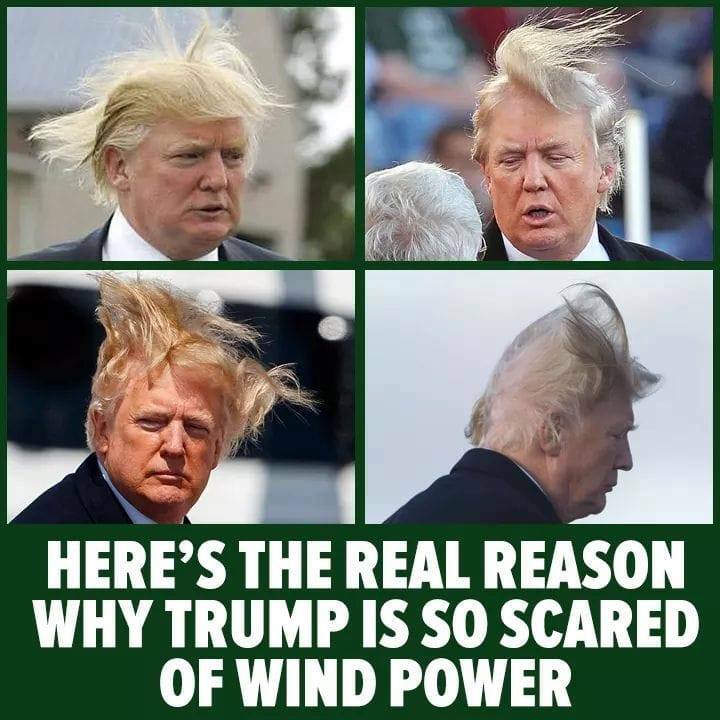 The reason Donald Trump is so afraid of windmills is that he thinks without them there would be less wind. This would benefit him by helping to ensure that his hair stays in place more often than not. He’ll get to keep up his lie that he’s not balding. The next meme offers further insight into just how hard that is for him to hide. 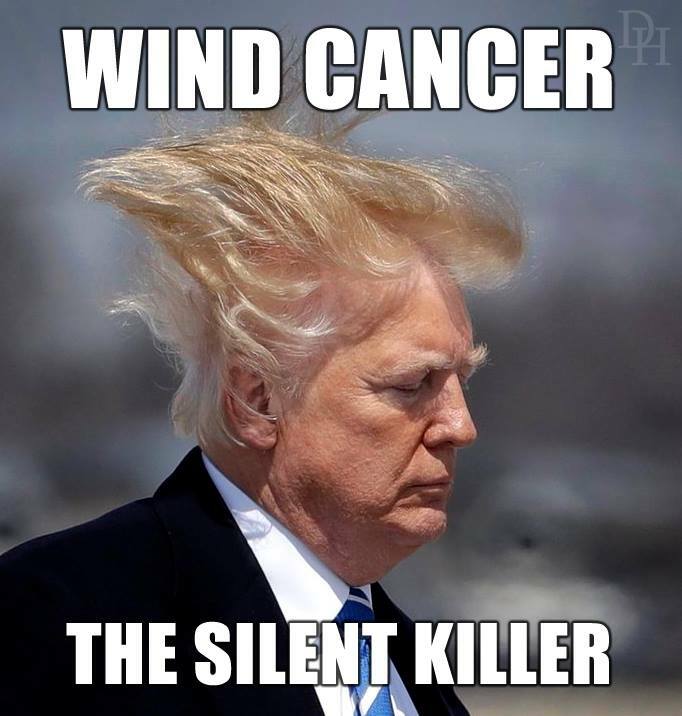 Trump is so scared of the media taking photos of his hair blowing in the wind as he gets older and this presidency takes a toll on him that he made up a whole new kind of cancer just so he had an excuse to avoid the wind. If it wasn’t so ridiculous it would almost be genius. 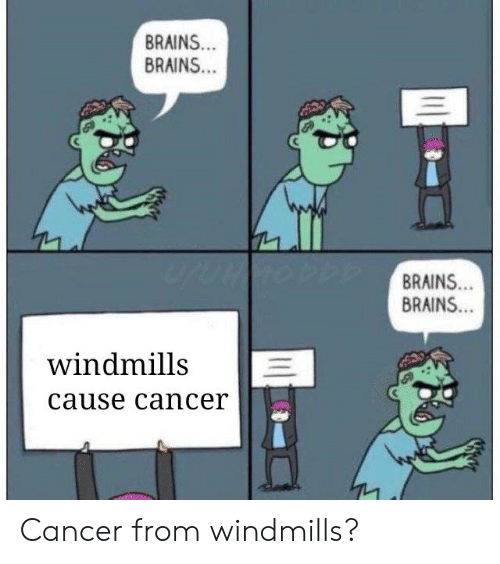 With it being Windmill Cancer Awareness Month and all, it’s important that we all recognize the causes of windmill cancer and take the measures needed to prevent coming in contact with them. Mostly this is just the noise they create, so anyone who lives within several miles of a windmill should wear noise-canceling headphones at all times, just to be safe. 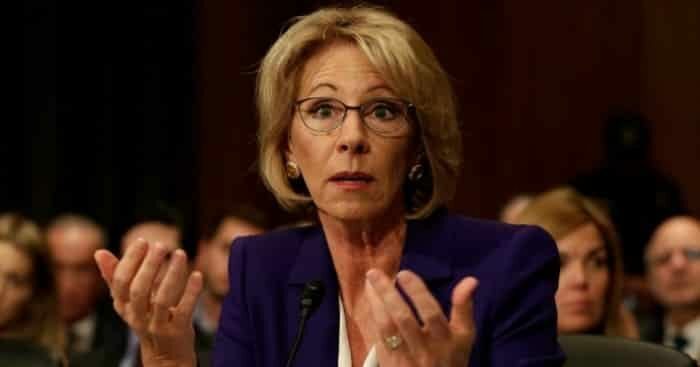 On an unrelated note, the President of the United States is suffering from a rare disease that is chipping away at his brain and may cause him to make irrational and illogical statements. 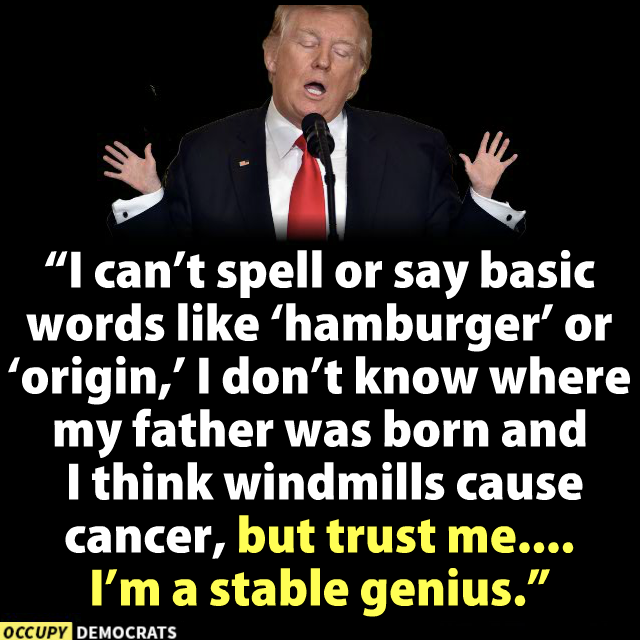 If Trump were truly a stable genius he wouldn’t feel the need to constantly call himself that. He would also make more sense when he speaks and spell simple words correctly. 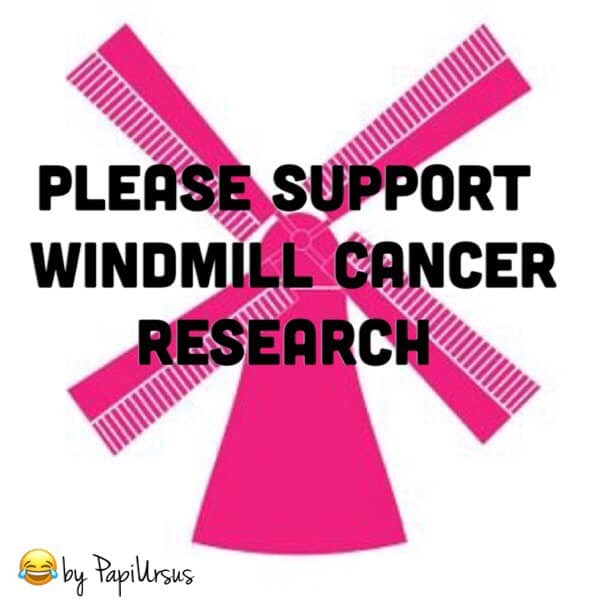 If Trump University hadn’t been shut down it would have been the only college to take on windmill cancer and sell a sugar pill as the cure. 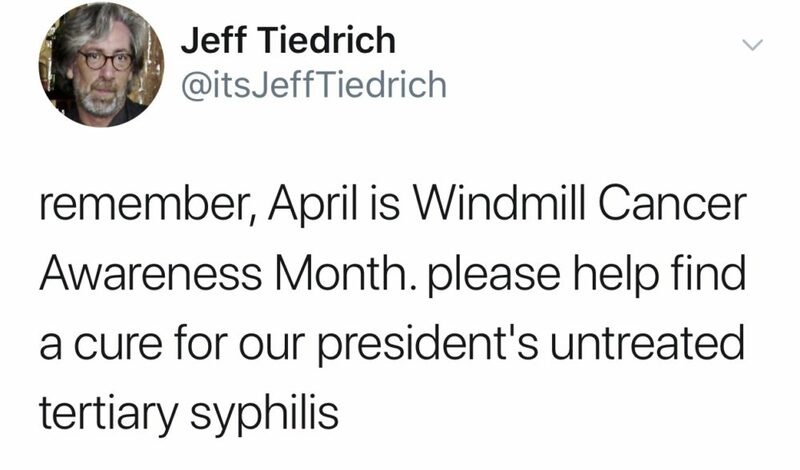 They’d probably build a whole wing dedicated to windmill cancer research and after they discover a “cure,” sell it for $100 billion per person. 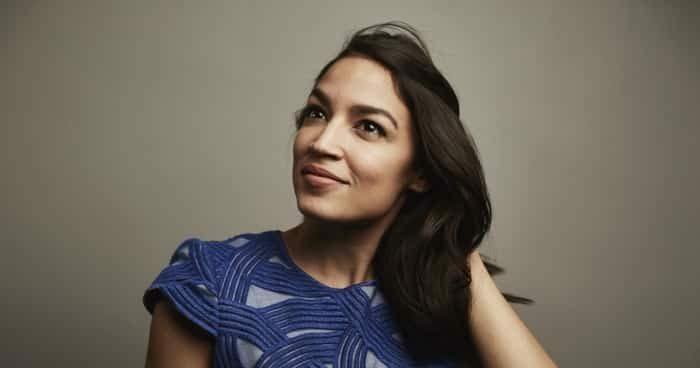 All of that money, of course, would be dedicated to proving climate change is a hoax. 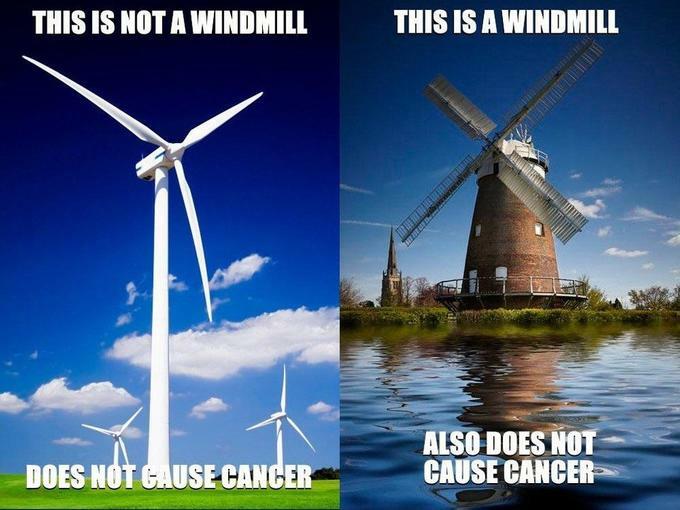 Until Trump opens a medical school, it’s safe to say that no one will ever research the possibility of windmill cancer. Believers better start wearing earplugs! Or, create a protective helmet out of aluminum foil like in the next meme. 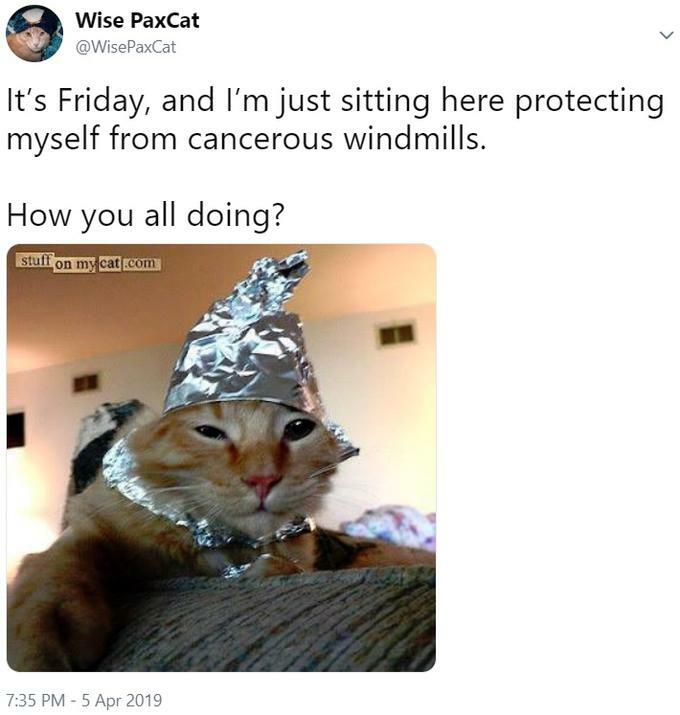 The jury is still out, but tinfoil hats and earplugs seem to be the best way to avoid windmill cancer. Until further notice, start folding the aluminum foil! 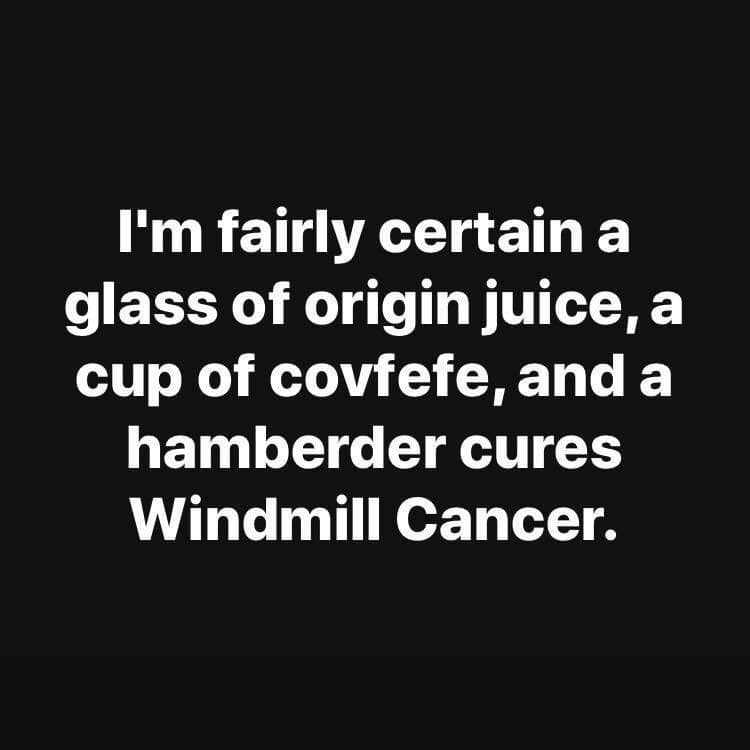 Possible cures for windmill cancer include origin juice, a cup of covfefe, and a nice juicy hamberder. 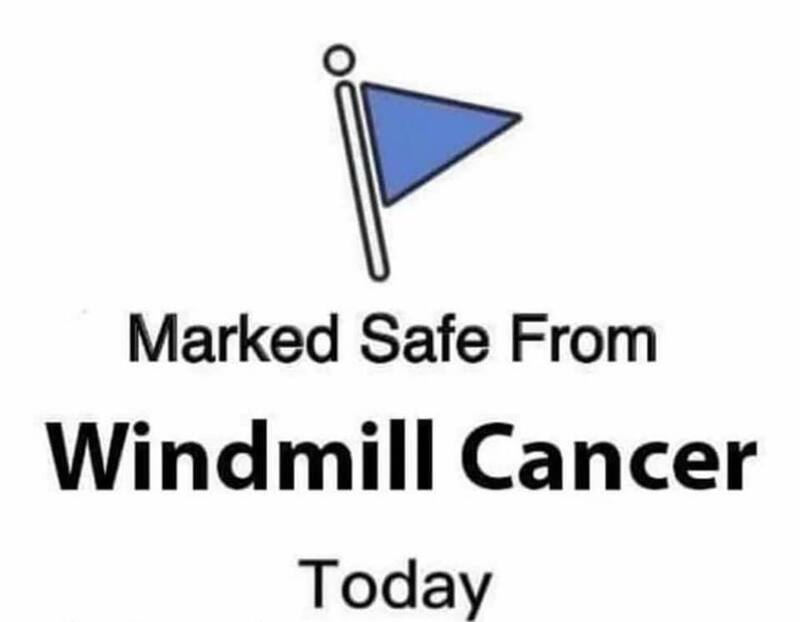 If you haven’t already, it’s important that you head to Facebook and mark yourself safe from windmill cancer. 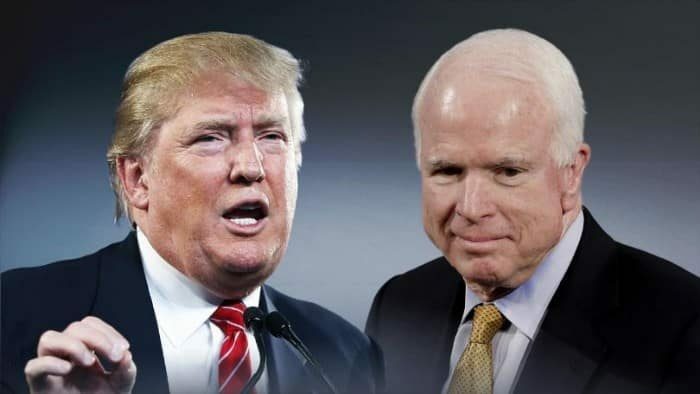 Rumor has it that Trump thinks cancer is contagious and will activate a quarantine procedure targeting anyone who hasn’t ensured they’re cancer free on social media. Better hop to it before the government takes over! I would definitely read this. This meme brings up an important point. 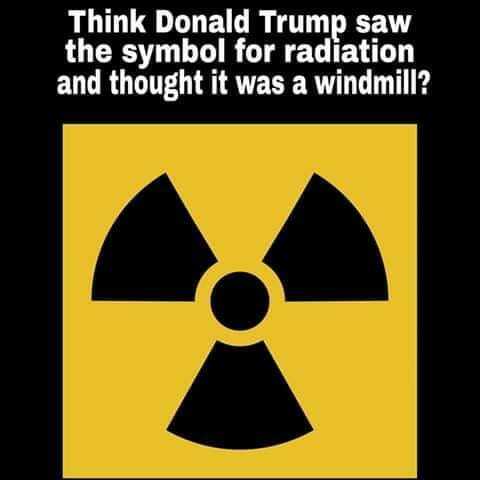 The symbol for radiation really does look like a windmill. It’s easy to see how one could get confused! 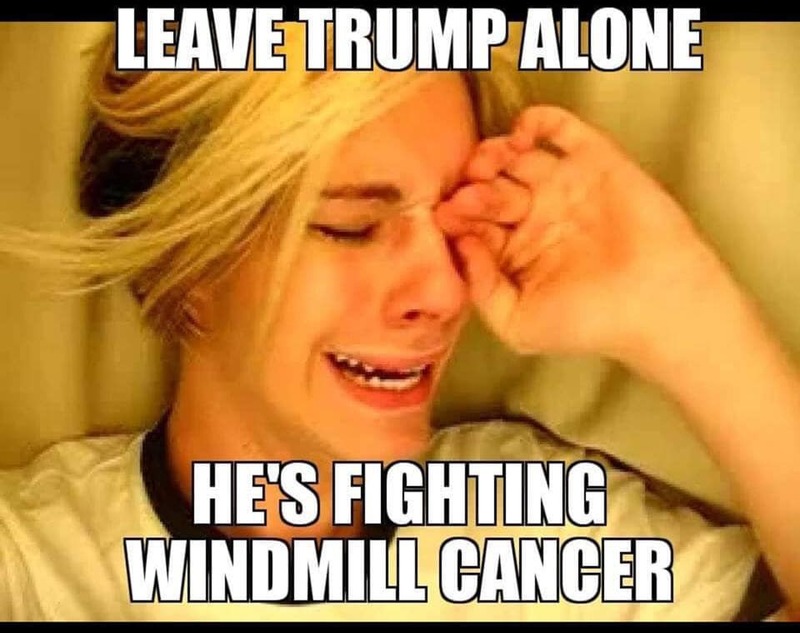 Trump isn’t fighting windmill cancer. He’s fighting insomnia, his ego, and a nasty case of dementia.